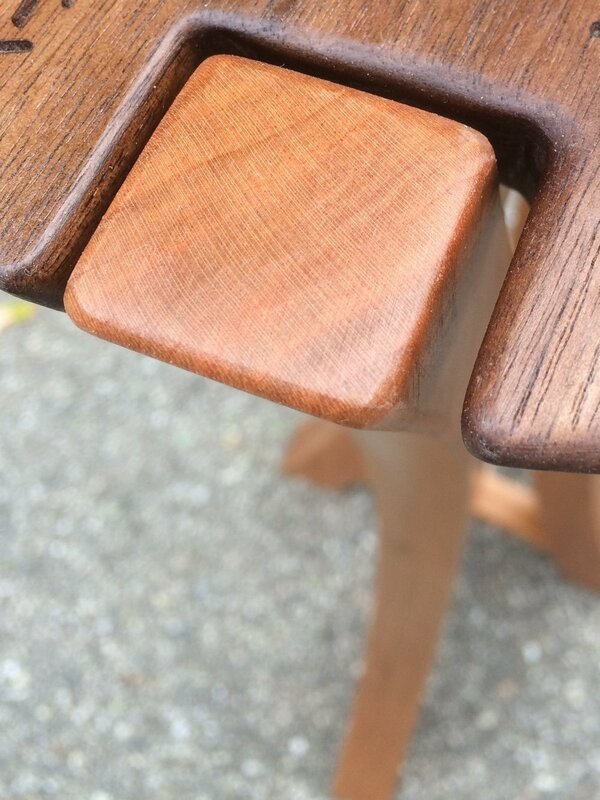 Handmade custom heirloom furniture from Michigan. 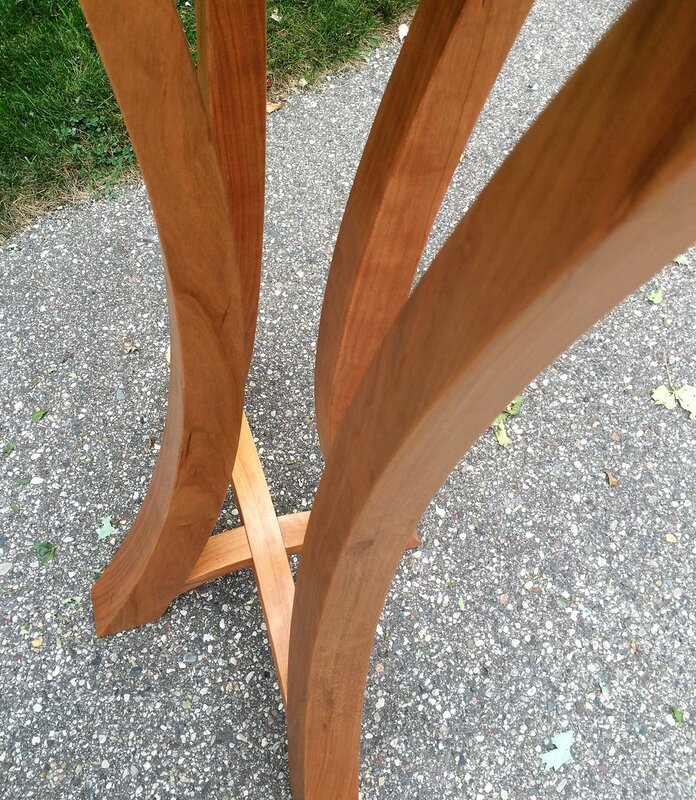 Cherry and Walnut display pedestal. Pictured in Cherry and Walnut. 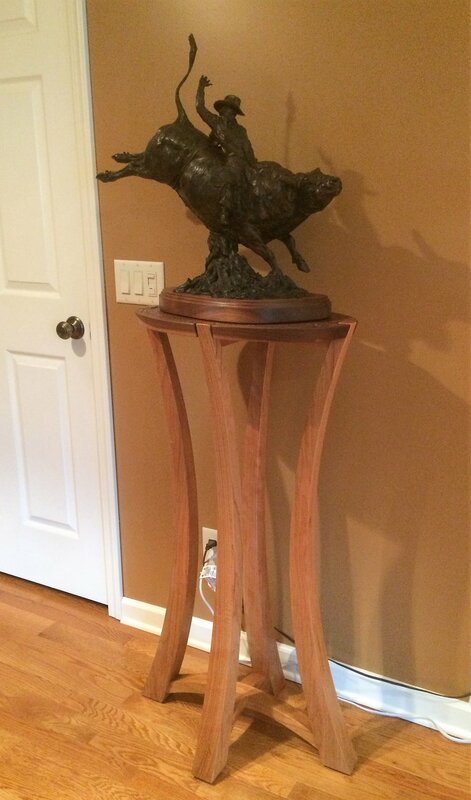 42" x 24" x 16"
A cherry base with a contrasting walnut top is the perfect platform for our client to display their prized bronze sculpture.